The ladies of the swimming pool were discussing the fact that all the towels that were generously supplied by the club for swimmers and sunbathers have been stolen. While I wasn’t surprised, I think that’s pretty poor behavior for club members and their guests. I gather it’s not uncommon but that doesn’t make it right. I asked one of the swimmers if she’d ever stolen anything. She admitted she had. I asked about it only to find out that in fact she hadn’t. She’d received something in the mail that was not meant for her; she called the store and they said ”Oh, just keep it.” That’s not stealing. Later that evening I asked my husband if he’d ever stolen anything. He said he had. I asked when and where and what. He said it had been recently and it was willful, intentional and purposeful. He’s an honest…..to a fault….person so I was a little surprised. I asked where. He told me, and to protect the guilty I will only tell you that it’s a large home goods store that starts with an L and ends with an e’s. Now I’m shocked and a little concerned. With fear and trepidation, I asked what the item was. 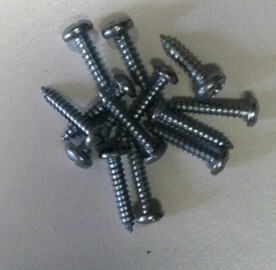 He said it was a screw. That indeed he had willfully, intentionally and with purpose paid for 12 screws and taken 13. Is this a throwback to when he used to buy a dozen donuts and get 13 as in a “bakers dozen”? No, apparently not. He felt that the store was charging usurious rates for the screws and so he just helped himself to the 13th. Well, of course now I wonder where that screw is. Has he comingled it with all the other screws so I won’t know which one it is? Has it already been screwed in somewhere so it is no longer distinctive as a “purloined screw”? Will I always wonder where it might be? Should I take a screw from one of the thousands in his workshop and return it to L…e’s? Should I call the manager and report the theft? Do I have to accompany him every time he goes to L….e’s to keep an eye on his sticky fingers? (He goes to L….e’s at least twice a day so this could become a hardship on me.) Should I personally go there and make good on the screw? When the MasterCard bill comes in, will I forever look at the amount he spent there and know that it should be 5 cents more? I’m searching for comfort here. 52 years of marriage and I hadn’t known this side of him. Oh what to do? Will I ever regain the trust I’ve had for all these years? How shall I manage the angst? I think my best advice to myself is to just screw it. 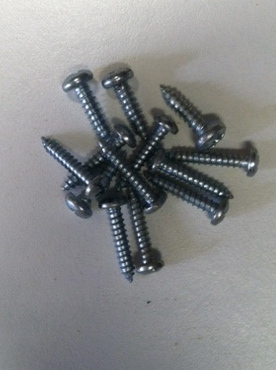 Well, not that particular screw….I still feel bad about that one but I’ll get over it. He had returned it. The screw that is. Put it back in the very basket from whence it came. Couldn’t take the heat. I told you he was honest to a fault. Now you know. But I think this is bigger than the screw. Perhaps other perps would like to share their story with me. I’ll write it up, they’ll atone for their high crime or misdemeanor, the world will be a better place. We’ll have to deal with all the flying pigs, of course. Eek Fifty Shades of purple, orange, blue, green, red, etc.